If you have some time to spare, rather than switching on the telly, pick up a book! It's incredibly relaxing to disassociate from the real world for a while and just read a nice book. You can find some suggestions here if you want some ideas! This is a classic self care tip because it really works! Light some candles, run a bath and just take some time for yourself. I'm sure you'll enjoy it. Extra points for Christmas bath bombs! Life's busy and sometimes you don't get a chance to meet up with the people you love. So give your friends a message and make some plans! It can be hard to get a chance to exercise in the cold weather so whether you're going to the gym or doing an at home workout stretching out your muscles can make you feel miles better. If you feel like your skins in good shape then you'll feel better and more confident so take some time to do your skincare routine. It's a great chance for some me-time too! 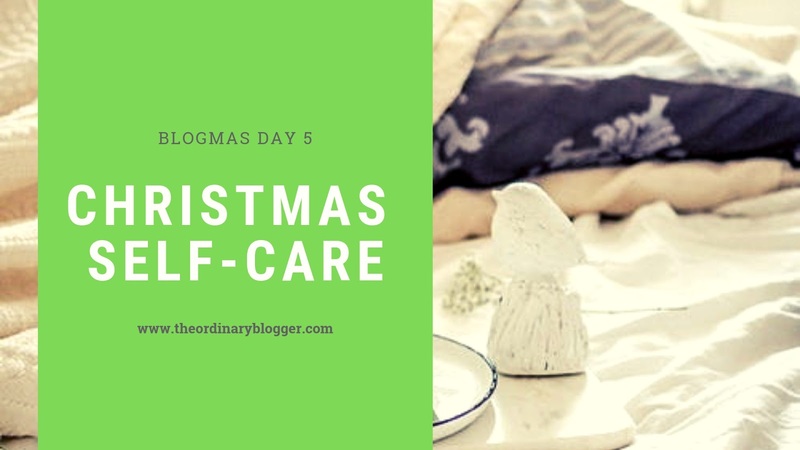 So there's my self-care tips for Christmas to help you feel happier and merry this Christmas! I hope these are helpful and I'd love to hear your tips for cheering up this year. As always thank you so so so so so so so much for reading!